The notion struck Megan Duffy at an event she attended with several other women — and it struck her hard. It was Aug. 18. The gathering marked the anniversary of a seismic change to the U.S. Constitution: Passage of the 19th Amendment, more commonly known as women’s suffrage. Duffy is one of those women. She is 38 years old. Based in Albuquerque, Duffy began her legal career as a clerk for then-state Supreme Court Chief Justice Richard Bosson and has worked as a trial and appellate lawyer in private practice around the state since. Now, she’s running for a seat on the New Mexico Court of Appeals, one of the least-watched, least-understood, but busiest and most important cogs in the state’s justice system. Duffy’s opponent is Judge Daniel Gallegos, who was appointed to a vacant seat on the appeals court in January by Republican Gov. Susana Martinez. On the November ballot, three other partisan contests confront voters and line up identically: Democratic women like Duffy challenging Martinez-appointed Republican men for seats on the 10-member court. Jennifer Attrep, a fifth Democratic woman — appointed by Martinez earlier this year — is running unopposed. That means voters will decide the appeals court’s political makeup — it comprises five Democrats and five Republicans now — and whether a chunk of Martinez’s judicial legacy remains intact. But a deeper historic shift hangs in the balance. Four women sit on the Court of Appeals. That’s their largest share since the court was founded in 1966, save for a few months in the early 2000s when women also made up 40 percent of appeals court judges. A win by any of the four challengers this year would create the court’s first-ever even gender split. If two or more Democratic women oust incumbents, which one University of New Mexico political science professor says is quite possible, it could mean something even bigger. Forty states have appeals courts similar to New Mexico’s, and several people interviewed for this story said the majority of those courts are male-dominated. That makes the state’s judicial races a microcosm of a national moment where, despite those male majorities, ballots feature historic numbers of women. Incumbents on the appeals court all say in interviews that a candidate’s experience and qualifications should guide voters’ choice at the ballot box; three said gender shouldn’t matter at all. 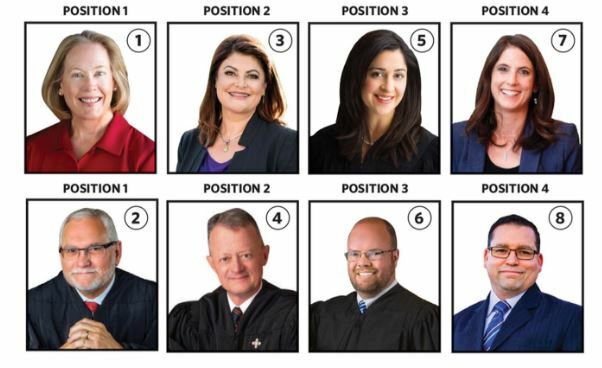 While none of the four challengers has previously sat as a judge on the appeals court, they all have extensive experience with appellate law including, in most cases, years working in the Court of Appeals as attorneys. That said, none of the four believes a shakeup in the gender balance would necessarily have an impact on how individual cases are decided at the court, which weighs heavy questions about the state’s constitution and statutes. More often than not, it provides the final word when the government, a company or an individual believes a lower court has erred in a ruling. But a female majority could send a signal to the legal community, says Kristina Bogardus, a former medical technologist who switched careers in the late 1980s, went on to work as a Court of Appeals clerk, and is now a trial lawyer in Albuquerque. Rod Kennedy, a Republican who retired from the appeals court in 2016 after nearly 15 years on the bench, says it could do more than that. Beyond those questions, the Court of Appeals finds itself at a pivotal point, with a steadily high caseload and a handful of retirements in the past two years that already have created more judicial turnover than at any other time in the past two decades. Further, the eight candidates in the contested races are competing for jobs that pay the least in the nation for appeals court judges: Roughly $125,000. Kennedy recalls a piece of political theater he used while campaigning in the early 2000s to emphasize how little attention most New Mexicans pay to the Court of Appeals. The court’s low profile belies its importance. “The Court of Appeals is the first and often final appellate court for most types of cases,” reads the boilerplate language in the court’s annual reports. That means when a party to a case believes there’s been an improper ruling in a lower court, they implore the appeals court to reconsider it — except in certain criminal cases and issues involving the Public Regulation Commission, which go straight to the state Supreme Court. Here’s how that works: The court’s clerk randomly assigns the case to a panel of three appeals court judges. (Never do all 10 judges consider a case together.) Two of the three must agree on a decision, and then they issue one of two types of opinions. Memorandum opinions are often unpublished, and they concern issues of well-settled New Mexico law. The court’s rarer formal opinions are those in which judges believe they must provide guidance on unsettled issues to the rest of the state’s courts and lawyers. If a party remains unsatisfied with an appeals court decision, they can take it up to the state Supreme Court, which has the authority to decide whether it will hear the case in most instances. For the past five years, the appeals court — the judges and 51 employees — has handled on average about 900 cases a year. That’s compared to fewer than 600 cases heard by the state Supreme Court annually. Katherine Wray, an Albuquerque-based attorney who has practiced regularly in the appeals court for the past seven years after clerking for one of its judges for two years, says the random assignment of cases generally accomplishes its goal: Avoiding judicial cliques on the court and ensuring diversity of perspectives on each case. She says a shift in the gender balance of the court isn’t likely to change the way the court functions. “But we have so many female District Court judges, a majority of female judges on our Supreme Court, and to have our Court of Appeals, which is my favorite court, be looking at such a milestone just makes me incredibly proud,” Wray says. Indeed, women hold a 3-2 majority on the New Mexico Supreme Court — one of eight states with female majorities on the highest courts, according to statistics compiled by the National Center for State Courts. Nearly everyone interviewed for this story pointed to a growing case backlog as one of the primary issues facing the court. It’s taking judges longer to issue opinions, which dredges up the old legal saw: “Justice delayed is justice denied.” The appeals court was created in the 1960s to deal with a backlog of appeals at the state Supreme Court. The incumbents chalk up the backlog on the appeals court, in large part, to massive turnover in recent years. Six judges have retired in the past two years, leaving Martinez to appoint their replacements. Those retirements have sapped much of the institutional memory from the court, says Judge Gallegos, who is running against Duffy. 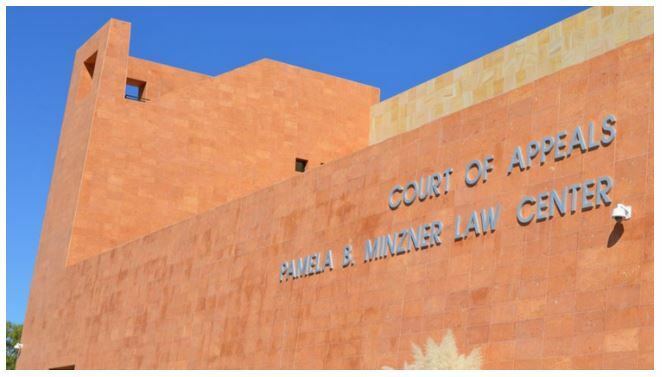 In turn, newly appointed judges receive less mentoring and face a longer learning curve as they work to become familiar with the court’s practices and rhythms. Along with Judges Emil J. Kiehne and Hank Bohnhoff, Gallegos says his time on the bench and his past experience with appellate law compose part of his pitch to voters: “Experience and qualifications” mean a better-functioning Court of Appeals, particularly given all the recent turnover. “I believe that since I’ve been on the court for more than a year and a half, I have acquired some of that institutional memory and that does give me an advantage over my opponent,” says Bohnhoff, who is facing longtime former prosecutor and appellate specialist Jacqueline R. Medina. Kennedy, the former judge, says all the candidates are qualified — and there’s plenty of institutional memory on the court, no matter who wins in November, to dig out of the backlog and make the appeals court function more efficiently. The longest-serving judge on the appeals court, Michael Vigil, with 15 years, is running for a seat on the state Supreme Court, a potential loss of some of that institutional memory. If he wins, the next governor appoints his replacement. The incumbents acknowledged the value of diversity on the courts, including indicators such as background, experience and familiarity with the appellate system, along with gender representation. But Judge French, who is running against Bogardus, says in an interview that he doesn’t believe judicial elections should be partisan. “That would include identity politics,” he says. Lonna Atkeson, professor of political science at the University of New Mexico, isn’t so sure about that. “There’s definitely some gender politics going on in New Mexico,” she says, pointing out that, save for one, women won every contested Democratic primary race in the state in the 2016 election cycle. Atkeson also points to research that shows women are seen as less corruptible than men, which could factor heavily in a judicial contest. And then there’s an inescapable reality: For every registered Republican voter in New Mexico, there are one and a half Democrats. Voters often cast their ballots by party identification, Atkeson says. There’s also more than a fifth of registered voters who are not affiliated with a party. A decision by the New Mexico Supreme Court last week striking down the option of checking a box to vote for all candidates of a particular party could throw a wrench in the Democratic challengers’ chances. But Atkeson says there’s more to it. Finally, the prospect of a female majority on the Court of Appeals piqued Atkeson’s interest. She noted that the state Legislature has not been as quick to reach gender equality as other states — or as quickly as with New Mexico’s judiciary. Figures compiled by the Center for American Women and Politics show New Mexico ranks 15th nationally for the number of female legislators; just over 30 percent of the state’s House and Senate members are women. Across all courts in the state, women have 77 seats on the bench. That’s 40 percent of New Mexico’s judiciary and compares to 116 male judges. Jacqueline Medina says she grew up in Taos, the daughter of a miner and a housewife. She didn’t know any attorneys. Later, she met a few. They were all men. “But I wanted to be an attorney, and I wanted to be a judge,” she tells NMID and SFR. Medina’s legal career has spanned 27 years. Twenty-four of those have been spent as a prosecutor, including more than a decade as an assistant attorney general. In that job, she was assigned more than 150 appellate cases. She spent most of her interview with NMID and SFR talking about her experience, including time inside the courtroom and out; she says she’s spent innumerable hours reviewing trial court records and writing briefs for appellate cases. Briana H. Zamora also wanted to talk mostly about her experience. She’s never worked at the Court of Appeals, but as a 10-year veteran of the bench — first at the Bernalillo County Metropolitan Court and now as a criminal judge at the 2nd Judicial District Court in Albuquerque — she would have the most recent trial court experience on the appeals court if elected. Her current job has included authoring more than 50 decisions on appeals from the Metro Court. Many of those have been rulings on requests from prosecutors to hold criminal defendants in jail pending trial — a relatively new area of New Mexico law that came along after voters in 2016 overwhelmingly passed a constitutional amendment that fundamentally changed the way bail bonds work in the state. So-called “preventative detention” decisions by judges have dominated headlines in the state, which has been beset in recent years by spiking crime rates. It’s now an issue that, increasingly, is winding up in the lap of the Court of Appeals. Judge Kiehne, Zamora’s opponent, counters the experience argument by pointing out that his whole legal career, which dates to 2000, has been spent on appellate law. He says that separates him from Zamora and gives him the edge. It extends past family, too, she says, to young female lawyers around the state. On the ballot this year are four contested races for the New Mexico Court of Appeals. Each features a Republican man appointed to the court by Gov. Susana Martinez, also a Republican, squaring off against a female Democratic challenger. Early voting runs from Oct. 20 through Nov. 3. Election Day is Nov. 6. Stephen French (R): He’s been appointed to the appeals court twice by Martinez, in 2015 and 2017, losing a competitive election in 2016. French graduated from California Western School of Law in 1980 and spent more than 35 years in private practice, representing clients in criminal and civil cases. As an attorney, he won numerous government contracts to represent cities, counties and the state and also has worked as a mediator. Kristina Bogardus (D): She had a first career as a medical technician in Albuquerque and Santa Fe hospitals, then graduated from UNM law school in 1991. Bogardus clerked for Appeals Court Judge Pamela Minzner and has worked as a plaintiffs’ lawyer since 1992, specializing in negligence and personal injury cases. She also has served on the state Supreme Court’s Disciplinary Board. Hank Bohnhoff (R): He is an Albuquerque native who earned his law degree from Columbia University in 1982. Martinez appointed him to the appeals court in 2017. Before that, Bohnhoff clerked for a federal district judge in New Mexico, worked as a senior lawyer in the state Attorney General’s Office and spent more than two decades at the Rodey Law Firm in Albuquerque, focusing on real estate and business litigation. Jacqueline R. Medina (D): Born in Taos, Medina graduated from UNM law school and has been a practicing attorney for 27 years. She has worked as an assistant district attorney and spent 16 years in the Attorney General’s Office, where she handled more than 150 appellate cases. Medina also serves on the state Supreme Court’s Appellate Rules Committee. Emil J. Kiehne (R): Martinez appointed Kiehne to the appeals court in 2017. Raised in Valencia County, he graduated from Notre Dame Law School in 2000 and began his legal career with an exclusive focus on appellate cases. Kiehne has worked as an appellate prosecutor in Philadelphia, Pennsylvania, and for 13 years at the Modrall Sperling firm in Albuquerque as an appellate lawyer in private practice. He has served on the state Supreme Court’s Appellate Rules Committee and on the board of the New Mexico Foundation for Open Government. Briana Zamora (D): Born and raised in New Mexico, Zamora is a UNM law school graduate. She served four years on the Bernalillo County Metropolitan Court bench starting in 2008 and was then elected as a District Court judge in Albuquerque. She’s presided over more than 20,000 cases, most of them criminal, and has handled more than 50 appeals from Metro Court on prosecutors’ motions to hold defendants in jail pre-trial. Prior to working as a judge, Zamora worked in private practice for seven years. Daniel Gallegos (R): He took the appeals court bench when Martinez appointed him earlier this year. Gallegos is an Albuquerque native who graduated from Notre Dame Law School in 2005. He served five years in the U.S. Navy Judge Advocate General’s Corps, as a legal adviser aboard the USS NIMITZ aircraft carrier, then worked for two years as a county prosecutor back in New Mexico. Megan Duffy (D): She graduated from UNM law school and went to work as a clerk for then-state Supreme Court Chief Justice Richard Bosson. After that, in 2009, she went to work at the Roepke Law Firm, where she has worked on estate and consumer protection issues, including appellate cases. Duffy also is a past president of the state Women’s Bar Association. This story was published in partnership with the Santa Fe Reporter. The southern New Mexico congressional race is finally getting the national attention many have been expecting. With a major push by Democrats to take back control of the U.S. House of Representatives, the two women vying for the District 2 seat vacated this year by Rep. Steve Pearce are getting help from their national parties.